Reduce Your Costs. Manage your Energy.Reduce Your Costs. desktop, tablets, and smartphones. 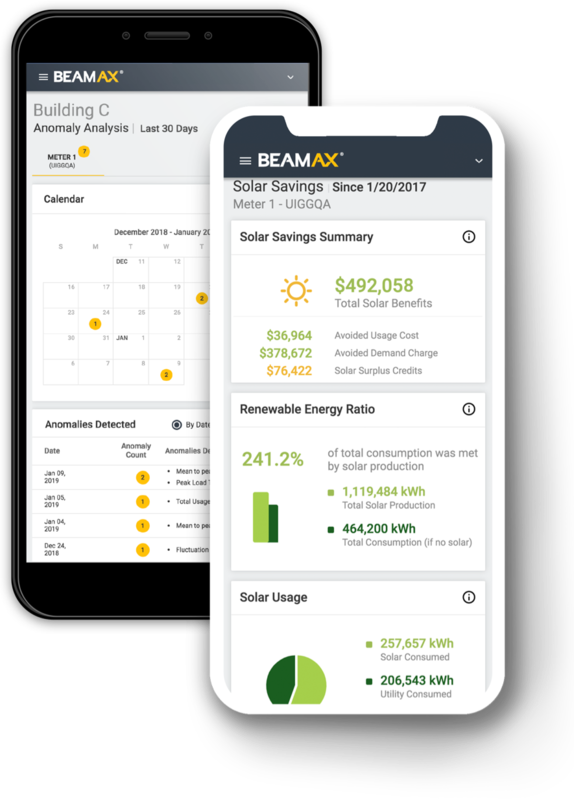 Analyze the energy performance and energy cost data for your facilities using BEAM AXTM system’s artificial intelligence via an intuitive interface which is accessible on desktop, tablets, and smartphones. Predict potential peak power demand charges 5 days ahead to proactively lower energy costs. Establish energy budget goals for multiple energy types easily. Continuously manage budget progress with alerts. Interpret historical and current energy costs and view the impact of weather on your utility charges. Detect and diagnose anomalous energy use patterns that could contribute to driving up costs or indicate an operational problem with your facility. Bring together your solar production data with your energy use data to maintain visibility into the energy use of your building. Review the energy and demand savings obtained from your solar energy system. Interpret historical and current energy costs via comparison to previous rates and alternative tariffs for better decision making. Analyze your load patterns to identify issues and savings opportunities. Use base load calculations to lower your non operating hours usage and compare operational costs to minimum usage operation. More questions? 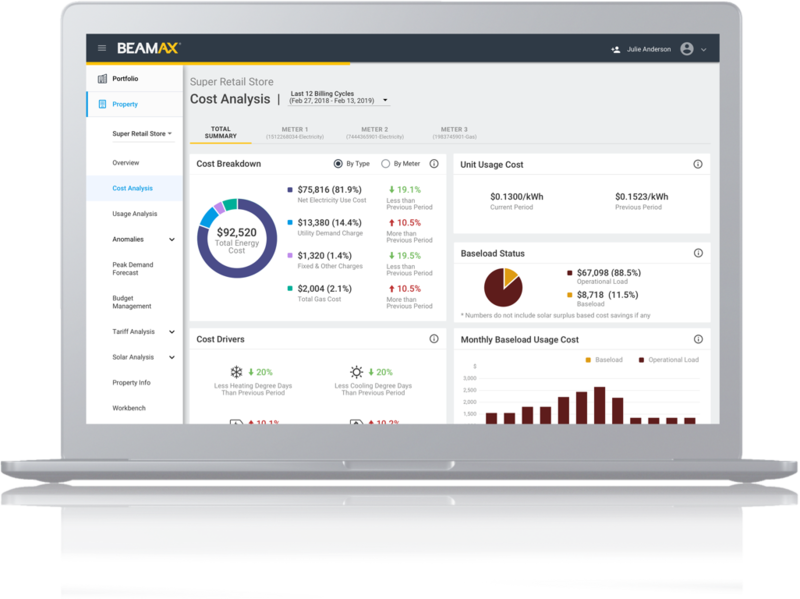 Email Us at BeamSupport@meus.mea.com to learn more about how BEAM AXTM can fit your needs. BEAM AXTM © 2019 Mitsubishi Electric US, Inc. All rights reserved.